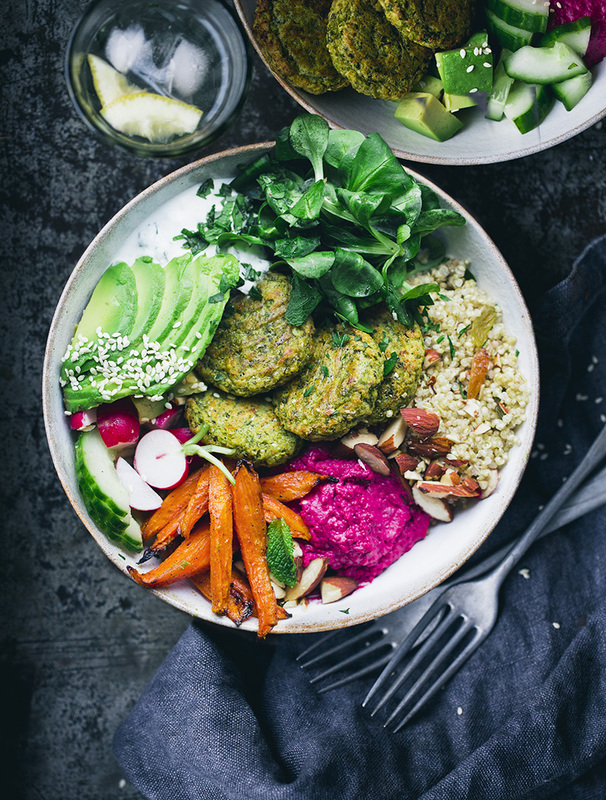 The post Coriander Cauliflower Amaranth Salad appeared first on Naturally Ella. With toddler eating patterns taking full force in our house, I like hand-held items more often than not. This fritter sandwich was slightly born out of a combination that was requested by the two year-old: chickpea fritters and hummus. My child loves hummus and would dip anything in it- case in point, it was watermelon yesterday. But I love the idea of using two components, ones I would normally make ahead of time in a lunch, that are easy to throw together. Really any combination of fritters/vegetable cakes with hummus/any kind of spread would work. Read more and see the recipe. The post Chickpea Fritter Sandwich with Hummus appeared first on Naturally Ella. Years ago, two of my favorite neighbors hosted a soup party. It was an inspiring affair – big pots of simmering soups and stews, house full of chatty, friendly people. Part of what I liked was the simple premise. The hosts (David & Holly) made a number of soups, guests were asked to arrive with their drink of choice and one thing to share – salad, appetizer, or something sweet. One of the vegetarian soups was a beautiful shade of yellow-orange. It was a light-bodied, curry-spiced coconut broth thickened with cooked red lentils and structured with yellow split peas. When I asked Holly to tell me about it, she mentioned it was based on an Ayurvedic dal recipe in the Esalen Cookbook, a favorite of hers. She happened to have an extra copy of the Esalen book, and sent me home with my belly full, a new cookbook tucked under my arm, and a few suggestions related to the soup. I still make this soup regularly, love it (so much! ), and thought it might be fun to revisit it today in video form – enjoy! Other things worth noting related to this soup – the slivered green onions sauteed in butter or coconut oil. The golden raisins that plump up with curry broth. Back notes of ginger. Depth from a good dollop of tomato paste. It all comes together in one amazing bowl of restorative goodness. 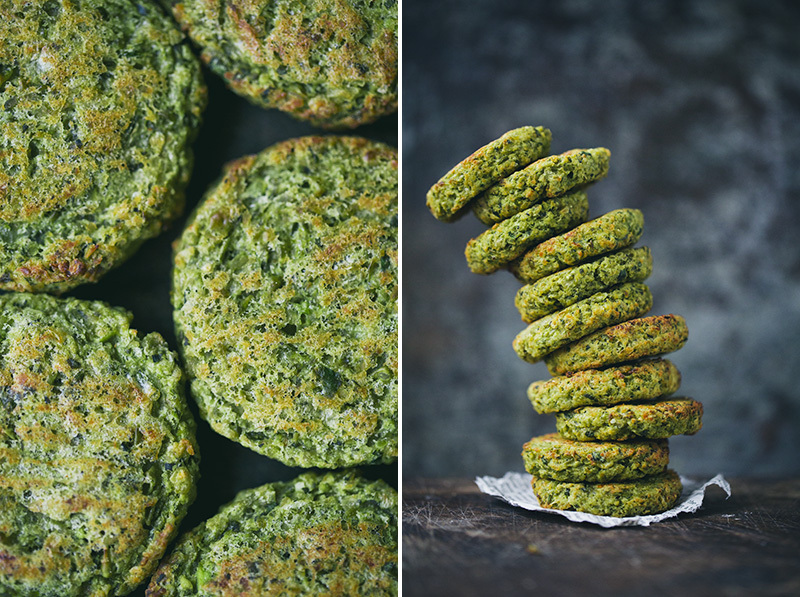 One of the first recipes we posted on the blog was a baked pistachio falafel. That was back in the days when we didn’t have three monsters tearing down the house. When I still had an old-fashioned job. And when baking a falafel instead of deep-frying it felt like a fresh new idea. Elsa once asked me if grandma’s older sister was alive when the dinosaurs lived on earth. I told her no (while simultaneously typing a message with a ton of dinosaur emojis to my mom). That is roughly how long ago that falafel recipe feels like. Dinosaur age. So much has happened since then. I’ll be at Credo Beauty in San Francisco on 3 May, 2-4 pm, signing books and chatting with you all about food, photography, kids and whatnot. I will also be doing the same in their Los Angeles store on 4 May, 5-7 pm. Free entrance, just RSVP to both events here. The post Creamy White Bean Pesto Arugula Salad appeared first on Food Heaven Made Easy. I love reading cookbooks because it gives an eye into the kitchen of someone else. You can tell ingredients or combinations a person favors. It can be telling about their past, what they’ve experienced, and the things they love. Sorghum syrup is one of those items you might see in my kitchen. It all started with my family’s rye bread recipe. Since it lived in my kitchen, I started to use it more mostly in breakfast recipes. It’s a unique taste but it pairs well with strawberries. It is also a lovely companion for the flavor of these cornmeal waffles. Read more and see the recipe. The post Gluten-Free Cornmeal Waffles with Sorghum Strawberries appeared first on Naturally Ella. This dish is one I reach for when I’m craving some healthy comfort food. Bonus? It’s crazy easy to make. Let’s curry! The post Eating for IBS with Danielle Capalino appeared first on Food Heaven Made Easy. If there’s one thing I tell people to start making at home right away, it’s dressing. Homemade salad dressing is as easy as whisking together olive oil, lemon juice, and salt. From that base, the possibilities of dressing are endless. While most people say you want a dressing that is 1 part acidity (lemon juice or vinegar) to 3 parts oil. My dressing tend towards 1:2 as it all depends on what you’re adding to the dressing. Read more and see the recipe. The post Lemon Vinaigrette | Component Cooking appeared first on Naturally Ella.